Get a simple, paperless solution for document editing. Whether your PDF is native, scanned or image-based, PDFfiller allows your to edit and share important docs in seconds: from your office, home or even while on the go. 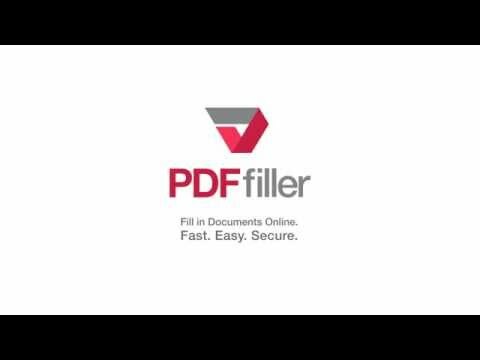 Upload a PDF using the PDFfiller uploader. Insert text boxes, type anywhere on the page and customize text. Make your PDF fillable, add pictures, notes and other objects . Add watermarks and secure your data. Print, download or share your documents. 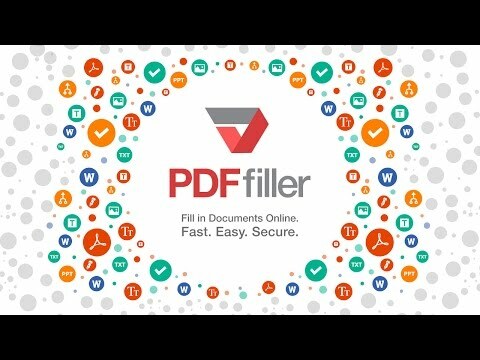 How to Edit a PDF Online Using PDFfiller? PDF is the most widely-used document format in the world due to its specific advantages over other formats. The most significant being that docs load with the exact same appearance across all devices and operating systems. Editing PDFs take time and effort. For instance, a simple procedure of signing a document or completing an application form requires printing, filling out by hand, scanning and re-saving it in PDF format. Luckily, there are new ways to avoid these complications. One solution is to download and install a paid app on your device. By doing so, you spend your money without knowing the results and may slow down your device’s performance. Another option, and the most convenient, is to use a web-based PDF editor. Processing your files online saves time and enables you to work on any device. The web-based PDFfiller editor runs on most platforms without using up hard disk space as all files are stored in the cloud. Regardless if your device is mobile or desktop, or its operating system is Windows, Mac OS or Android, you can use PDFfiller to edit a doc. In order to start working with the editor, upload PDF files from your device’s hard drive, cloud or online storage. You can also import documents from Email or ask another user to send you a file so you can edit it in PDFfiller. PDFfiller supports PDF, Word, PowerPoint and Text formats. Open your document in the editor. Click the ‘Text’ icon to start typing. Use your mouse or touchpad to drag text and place it anywhere on the page. Change text color and size. Make it bold, italicized or underlined and adjust text alignment. You can also delete existing text by using the ‘Eraser’ tool. Easily create a unique electronic sample of your handwritten signature and use it to sign documents. Open the Signature Wizard and generate your autograph by entering your name in the respective field. You can also draw it with your mouse, touchpad or upload a scanned image of your signature. Place fillable fields anywhere on a document and make it possible for other users to fill, sign and submit your document. Insert dropdown menus, lists, checkbox fields, etc. Any field you create can be easily moved, resized or deleted. Import images, arrows, bookmarks and sticky notes. Add, remove or rotate pages in your document. Protect your file from being copied or scanned without your permission. Click the ‘Add Watermark’ box to place a watermark. Specify its size, opacity and orientation on the page. Organize large PDFs and improve navigation within your document by adding pages or bates numbering. Click ‘Done’ to save changes. Instantly download or print edited PDFs, share them with your business partners and enable them to edit your file by simply providing them with the link. Send your documents to anyone via USPS, fax, email or even SMS. Send reminders to recipients and make sure each document is submitted on time. PDFfiller is a time-saving and easy-to-operate online editor. We provide our customers with a full range of up-to-date instruments for editing, converting, signing and sharing PDF documents. With PDFfiller, there’s always a simple and effective solution to any paperwork problem. A job that would have previously taken hours can now be done in seconds. Our platform combines a powerful toolkit with an intuitive interface and a straightforward feature set. Our 24/7 support team is always available to provide technical advice or help you with any issues. Use it for any of your PDFs and forget about sorting through piles of paperwork on your desk for a single document. Streamline your workflow and join the millions of PDFfiller users worldwide. 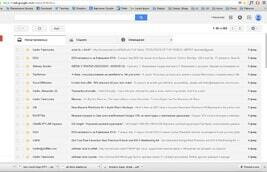 In Gmail, navigate to a PDF attachment and click the “Fill’ button. Use PDFfiller to edit your document and share it via email or SMS. Search for the document you need and an orange ‘Fill’ button will appear next to any PDFs in the result. Add a PDF directly from a website. Just click the orange ‘Fill’ button and a linked PDF will open in PDFfiller where you can fill and request a verified and secure signature with SendToSign. With the new PDFfiller Google Chrome extension, importing, editing and sharing documents from the web in PDFfiller has never been easier! Type edit-pdf.pdffiller.com into your browser’s address bar. Select a document on your hard drive and upload it to the editor or import a file from your cloud storage service (i.e. Dropbox, Google Drive, Box or OneDrive). Once uploaded, open your document in the editor to begin making edits. Browse the tool panel at the top of the editor for the tool you need. Erase, highlight, blackout text, add a text box or sticky note, draw on your PDF, and more. Use the menu on the right to add a fillable field, image, watermark, or sign your document electronically. The menu on the left is for editing the pages of a doc. Use it to add, delete, duplicate, rotate and rearrange pages in your document. Insert an object or field and require recipients to fill it in before submitting their completed copy. Use a mouse or touchpad to change the size and location of every object you add. Click Help if you need assistance or wish to contact our Support team. Click Done to save your changes and return to the Dashboard. Web-based PDF editors are more convenient and cost-effective than downloadable apps. PDFfiller is a universal solution known for its straightforward interface and range of professional editing tools. Forget about installing, downloading and updating software on your device. Choose PDFfiller and enjoy the highest standard in paperless document management. PDFfiller is an award-winning platform with a network of thousands of users worldwide. PDFfiller offers a full set of intuitive editing features at a low price. Enterprise-level security for your documents. Every document you upload to the editor is stored on an encrypted offsite server. Every electronic document you create or redact using the PDFfiller editor is as court-admissible as its paper counterpart. Electronic signatures created using PDFfiller’s Signature Wizard look smooth and natural. PDFfiller provides its customers with a variety of ready-to-use templates. Save your time and submit time-sensitive documents in seconds. Convert PDFs to other popular file formats such as Word, PPT, Excel, JPG, or Text using PDFfiller. PDFfiller features a robust and user-friendly interface that allows you to process and share documents even while on the go. How do I edit a scanned PDF file without Adobe Acrobat? Upload your docs to the PDFfiller editor and perform all the necessary edits directly in your browser. This will work for any of your PDFs, even scanned or downloaded files from the Web. The app is web-based and doesn’t require installation. You can access it from your Windows or Mac computer, tablet or mobile device. How do I store a PDF that can be edited? First, upload your file to PDFfiller. You can start editing it online right away or click ‘Done’ and store it for later use. Each document you upload is automatically saved in the MyBox folder of your Dashboard and can be accessed anytime from any device you use. How do I edit a PDF on a Mac? There is no default app for editing PDFs on a Mac. You can go to the AppStore and download one of the many apps offered without knowing how effective it will be. Or you can use PDFfiller and easily edit your document online. This way proves to be the most effective for saving time and money. How do I edit a PDF in Google Docs? Open your PDF in the PDFfiller online application, go to Dashboard, then click the Mybox tab. Select your document and choose the 'Google' button from the menu on the right. The Google Docs editor will open within PDFfiller. There you can edit your docs using all standard editing tools. How do I write in a PDF document? If you want to add text to a PDF, use the PDFfiller uploader to open your file in the editor. Add simple text fields or choose one of the other instruments from the toolbar. In both cases, you will be able to customize your text and drag it to the desired location on the page.